Figure 1. 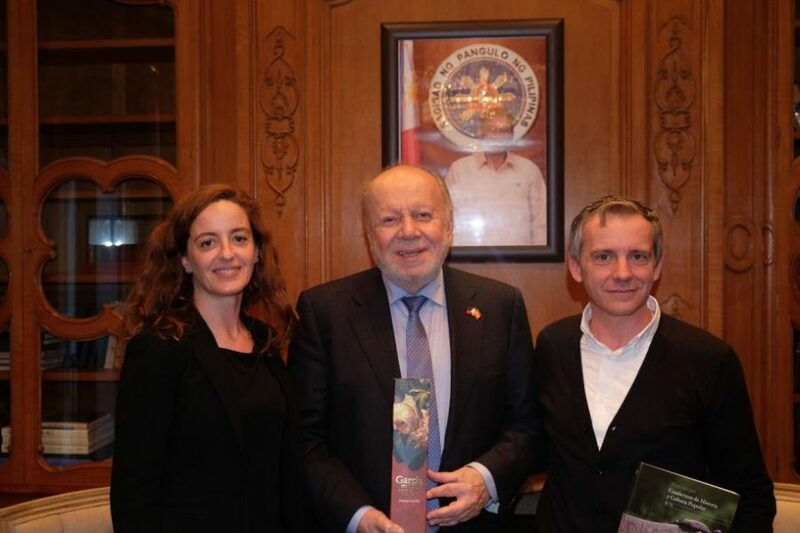 (L-R) Ms. Celia Mariblanca from the Madridejos Local Government office; Ambassador Philippe Lhuillier, who was presented with high quality olive oil, one of the main export products of Madridejos; and Mr. Jose Antonio Contreras Nieves, Mayor of Madridejos. Mr. Jose Antonio Contreras Nieves, Mayor of Madridejos, called on Ambassador Philippe Lhuillier on 6 February 2018 at the Embassy to discuss possible cultural and economic exchange projects with the Embassy and their target local government offices from the Phililppines, namely Cebu and Baler. Madridejos is a municipality located in Toledo with a population of roughly 11,000. Also at the meeting were TVE journalist Pedro Antonio Carreño Zapero and Ms. Celia Mariblanca from the local government of Madridejos. The Madridejos officials seek to sign Sister City agreements with Baler and the City of Cebu, for their historical ties with Madridejos locals from the 19th century, such as Fray Benito Romero Garcia who became a Bishop in Cebu and Fray Candido Gomez Carreño who died in Baler. Ambassador Lhuillier stressed the importance of pursuing concrete projects after the signing of Sister City agreements and also encouraged the delegation to focus on economic partnerships with their target local government offices of Cebu and Baler. Some of these economic partnership plans include organizing bilateral business delegation exchanges to introduce businessmen from Cebu and Madridejos to each other’s key export products. The Embassy also intends to hold cultural programs in Madridejos in 2018.